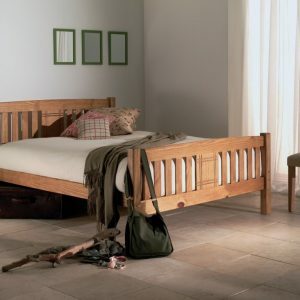 The Italy bed frame is designed to create a vintage or contemporary ambiance in any bedroom. 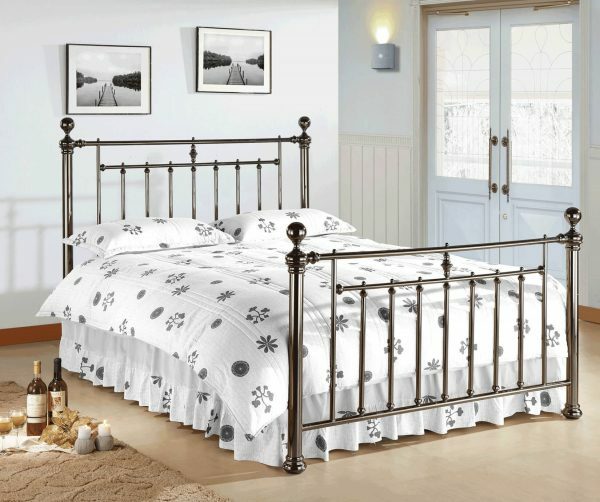 With its polished nickel finish and subtle casting detail this bed frame is the perfect balance of character and style. It comes with a choice of polished nickel or crystal effect finials so you can customise the look of this piece. The frame has a sprung slatted base for added comfort and a robustly designed selfsupporting internal frame which does not require centre support legs.